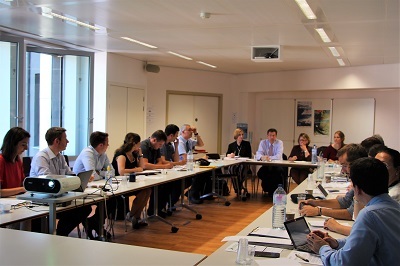 A number of regions and representatives from the EU institutions attended the CPMR Atlantic Arc Commission’s (AAC) first ever hub meetings, where initial plans for the preparation of the post 2020 period were agreed. 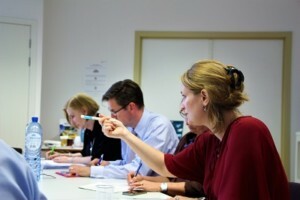 The AAC’S six Working groups and two Task Forces gathered on 19-20 June for a series of meetings dedicated to Accessibility/Attractiveness, Maritime issues and the future of the Atlantic Strategy. As well as summarising the actions of each Working Group since the last AAC General Assembly in Les Sables d’Olonne, the meetings offered the opportunity for regions to meet representatives from the EU institutions other networks, and to discuss future work activities. On 19 June, during the Transport working group, the AAC regions agreed on the preparation of a political declaration on the principles that should guide the next revision of the Connecting Europe Facility (CEF) in 2023. The Tourism and Culture Working Group, which was attended by representatives from DG MARE and DG EAC, gave regions the chance to highlight the opportunities offered by the Atlantic as a tourist destination, with strong cultural heritage, and nautical and green tourism. On 20 June, DG ENER and Ocean energy Europe were invited to the Marine Renewable Energy (MRE) working group. At this session, it was agreed to update the map of the Atlantic MRE projects and send more information to the AAC secretariat on each region’s potential for the development of the MRE sector. It was agreed that an Atlantic Arc Declaration should be drafted to show the high level of commitment the Atlantic regions have for reducing CO2 emissions through renewables. The Innovation Working group involved several speakers from DG MARE, Sea Europe, Emilia Romagna and EUCC-Atlantic. It focused on skills gap in the blue economy and the protection of the Atlantic environment. 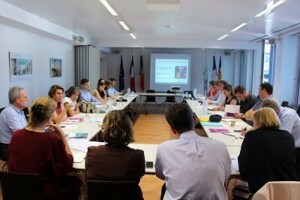 The leading region, Nouvelle Aquitaine, proposed that an international publication should be develop with a map of blue training in the Atlantic. In line with the priorities of the AAC President, Bruno Retailleau, President of the Pays de la Loire Region, it was agreed that an Atlantic Charter will be created to define common actions to protect the Atlantic environment. The Fisheries working group provided the opportunity for regions to listen to the perspective of the EU Parliament on the new measures introduced in the Common Fisheries Policy. The Atlantic Regions shared their views on the mid-term review of the Multi-annual Financial Framework (MFF) as well as their worries concerning Brexit. During the afternoon, the UK Permanent Representation and DG Research took part in discussions on mid-term review of the Atlantic Strategy Action Plan. The UK, which chairs the Atlantic Strategy steering group, strongly encouraged regions to participate in the consultation on this important issue. A UK representative presented the plans for the next Stakeholder Platform Conference, taking place in Glasgow on 8 November. The Basque Country also explained its work on the international dimension of the Atlantic Strategy. Finally, a session on Brexit outlined the last political developments. Regions are invited to continue to provide analyses on the impact of Brexit.